The Jellystone Park™ system is the only campground chain focused specifically on the family market. Launched in 1969, the franchise boasts 80+ campgrounds with more than 18,000 campsites in 30 states and six Canadian provinces. 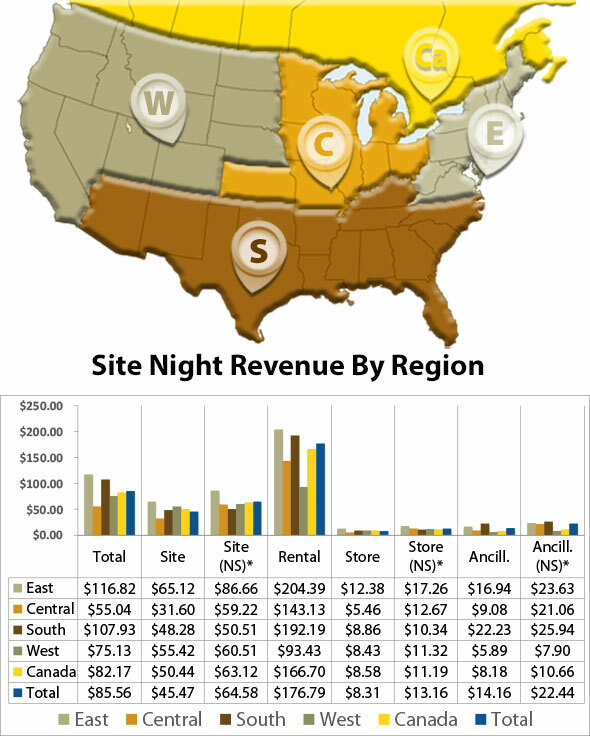 Sites income posted the biggest increase in revenues with 17 percent, followed rentals and store, each with an 8% increase. 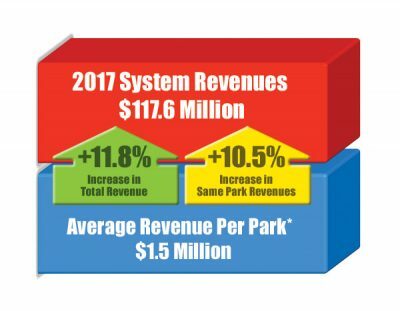 With the amenities, activities and merchandise available at Jellystone Park™ Camp-Resorts, we see higher revenue per site night. 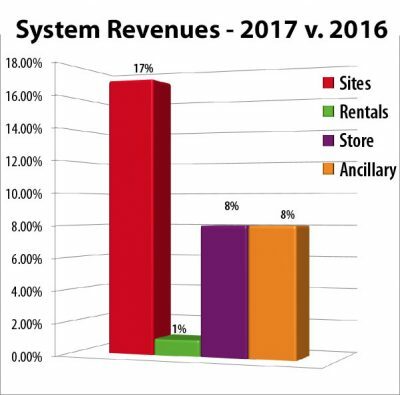 A significant overall average revenue of $6,86 per site was enjoyed by our franchisees in 2017. 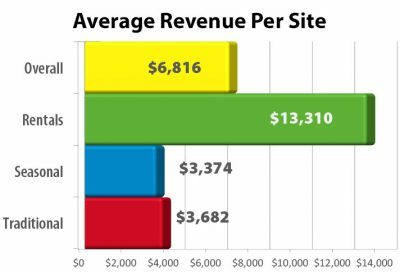 This number consisted of the median revenues from traditional sites at $3,682, seasonal sites at $3,374 and rental sites at $13,310. Where Does Our Business Come From? 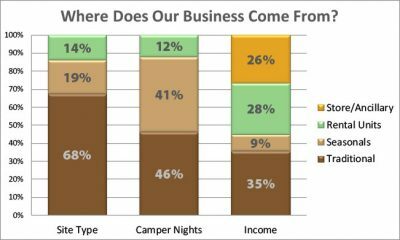 Traditional Sites make up about 69% of our sites, account for 46% of our camper nights and generate about 35% of our income. Seasonal Sites make up about 17% of our sites, account for 41% of our camper nights and generate 9% of our income. Rental Units make up about 14% of our sites, account for 12% of our camper nights and generate about 30% of our income. Store and Ancillary Revenues generate about 26% of our income. Guests give high marks to Jellystone Park™ Camp-Resorts, with an average overall satisfaction of 8.3 (out of 10.) This satisfaction is evidenced by the 19% enrollment increase in our Club Yogi™ Rewards loyalty program in 2017, pushing membership to over 157,000 members.